Product prices and availability are accurate as of 2019-03-31 00:01:01 UTC and are subject to change. Any price and availability information displayed on http://www.amazon.com/ at the time of purchase will apply to the purchase of this product. 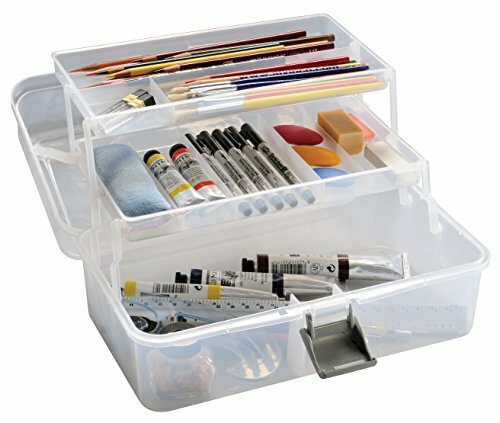 Translucent plastic art box offers portable organization for tools and supplies. 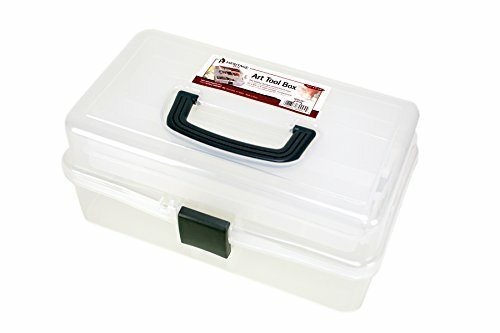 Features two 5 1/2 inches x 10 1/2 inches x 3/4 inch foldout divided compartment trays. Main storage compartment measures 12 inches x 6 3/4 inches x 3 inches. Carry handle folds flat. Security slot can accommodate a small lock. Overall dimensions: 12 1/2 inches x 7 inches x 6 inches. Translucent plastic art box. Portable organization for tools and supplies. Carry handle folds flat. Security slot can accommodate a small lock. Overall dimensions: 12 1/2 inches x 7 inches x 6 inches.